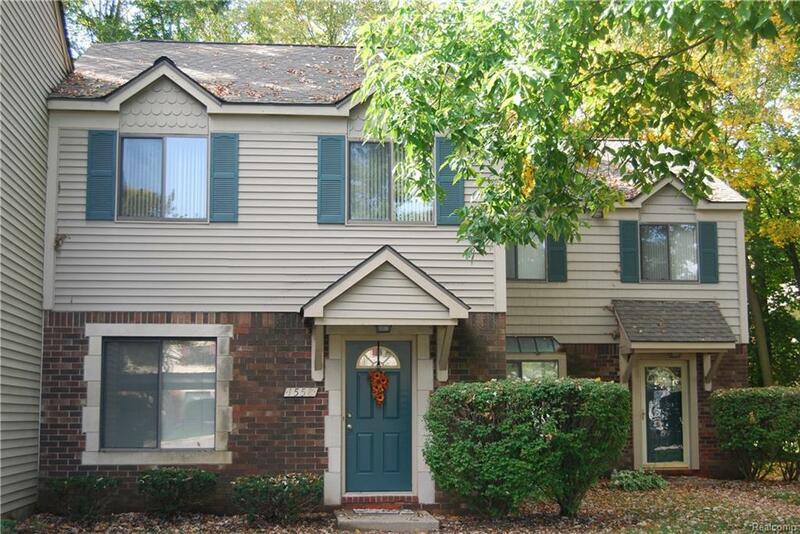 CHARMING ROCHESTER HILLS CONDO. 2 Bedroom 1 & 1/2 Bath and Move-in Ready! Nestled in a Private Wooded Setting. ENJOY CLINTON RIVER TRAIL ACCESS from the Complex. Newly Tiled Master/Main Bath has Dual Access, Dual Vanity, New Tub, Subway Tile Surround and Fresh Ceramic Tile Floor. Bright Kitchen has Plenty of Cabinets, Full Size Refrigerator, Stove and Dishwasher. All Appliances Stay. Large Adjacent Eating Area has a Beautiful View of the Wooded Area behind. 1st Floor Laundry with Full Size Washer & Dryer. New Hot Water Heater 2017. Newer AC. Large Hall Closets up and down for Storage. Large Master Bedroom with a Wall of Closets. Convenient Car Port with Assigned Space straight out the front door. Community Tennis Court. IDX provided courtesy of Realcomp II Ltd., via Real Estate One-Rochester and Realcomp, ©2019 Realcomp II Ltd. Shareholders.